In 2016, more than 25 000 hours of free legal services were provided by the Projects Abroad Human Rights Office (PAHRO) in South Africa. This snapshot of the South African team’s work was recently showcased in Projects Abroad’s 2016 Global Impact Report. 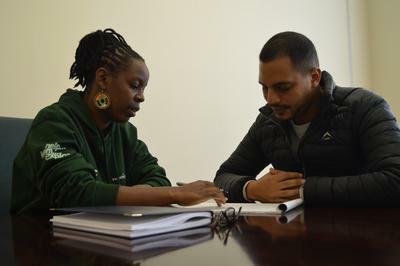 We sat down with attorney and project manager of the Human Rights Project, Maria Mulindi, to find out what drives her, why her strength lies in the volunteers that join her team and why free legal services are needed in Cape Town. Why do you focus so strongly on providing free legal aid to people that are underprivileged in Cape Town? How many legal clinics do you have currently? What are the main cases you deal with in these communities? Why is there a need in the country for clinics of this kind? How much are volunteers needed in the South African Human Rights office? What is your long term vision for the clinics? Maria Mulindi was born in Kenya, but has lived in South Africa since 2003 when her father relocated the family for his work as an expatriate lecturer in law, at the University of Fort Hare. 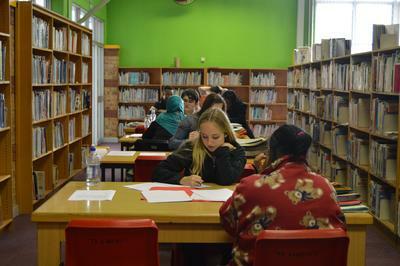 Maria and her siblings completed their schooling and university education in South Africa. “It had always been in my heart to study law; I had actually done a year of law back in Kenya and then I came here and started the degree from scratch,” says Maria. Her father’s work with the United Nations – his travels and her grandfather’s work as a magistrate in postcolonial Kenya – had an influence on her decision to study law. Maria has nine siblings; three of her nine siblings are also in the field of law. She has been working with Projects Abroad for six years. 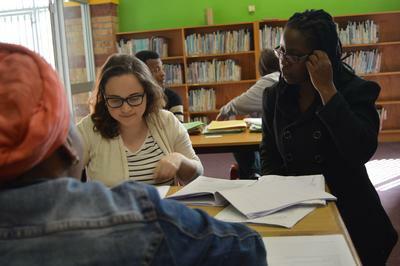 Find out how you can contribute to our Human Rights Project in South Africa or take a look at some of our other Law & Human Rights placements around the world.